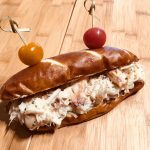 The San Francisco 49ers and Levy today announced the creation of the newest food and beverage destination at Levi’s® Stadium—Touchdown Terrace—along with several other dining and hospitality enhancements. Touchdown Terrace, opening for the start of the regular season with an eclectic menu of dishes from well-known Bay Area restaurants and a one-of-a-kind gameday signature dish competition, is designed to unite fans around great Bay Area food, beverages, and friendly hospitality. Touchdown Terrace, stretching around the outer ring of the Levi’s Stadium main concourse between the 50-yard line and endzone nearest Toyota Gate F, will be the venue’s most unique dining and social gathering spot. 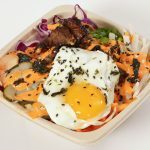 Authentic flavors from a variety of cuisines will be provided at portable stands by forward-thinking Bay Area restaurants including Barbacco (Italian), Copita (Mexican), The Chairman (Asian street food), Michael Mina’s Bourbon Pub (American), and Salt & Straw (ice cream). 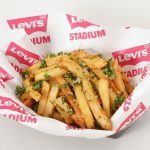 Another Touchdown Terrace mainstay is “The Coin Toss,” a rotating bracket-style dish competition giving fans the chance to taste and vote for Levi’s Stadium’s next signature dish. 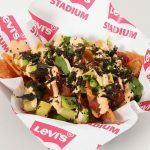 During every home game, Levy, best known for creating incredible dining experiences at many of the world’s most iconic sports and entertainment venues, will taste test two new dishes at a portable kiosk and gather fan feedback to help guide future dishes. Marked by colorful football-themed signage, floor decals, and interactive spaces, Touchdown Terrace will roll out in phases during the 49ers preseason in advance of the regular season opener on Sunday, September 16 against the Detroit Lions presented by Levi’s®. The space will also feature a digital mosaic wall, giving fans the chance to submit photos on gameday that will be used to constantly build and refresh the interactive graphic. Fans can also receive a photo print-out while visiting Touchdown Terrace. 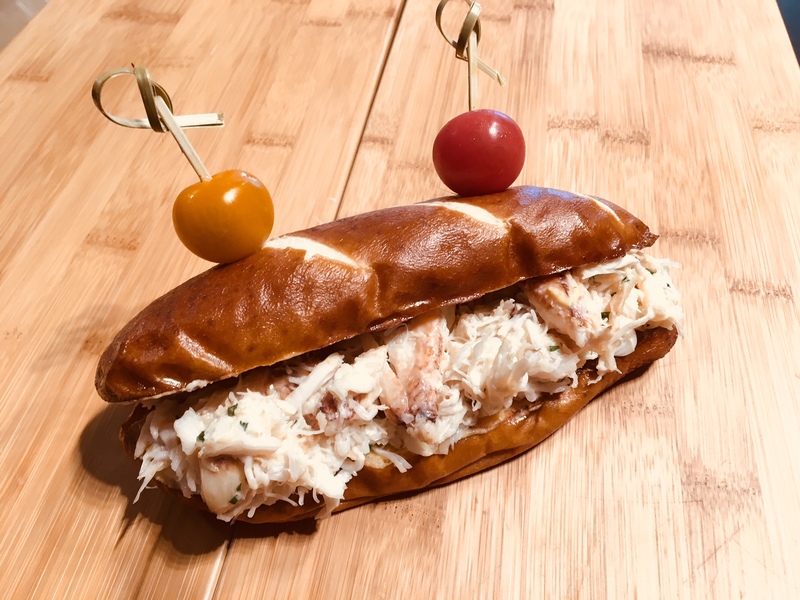 Dungeness Crab Pretzel: Knuckle and claw meat mixed with garlic aioli, dijon, and chives on a fresh butter-toasted pretzel baguette. 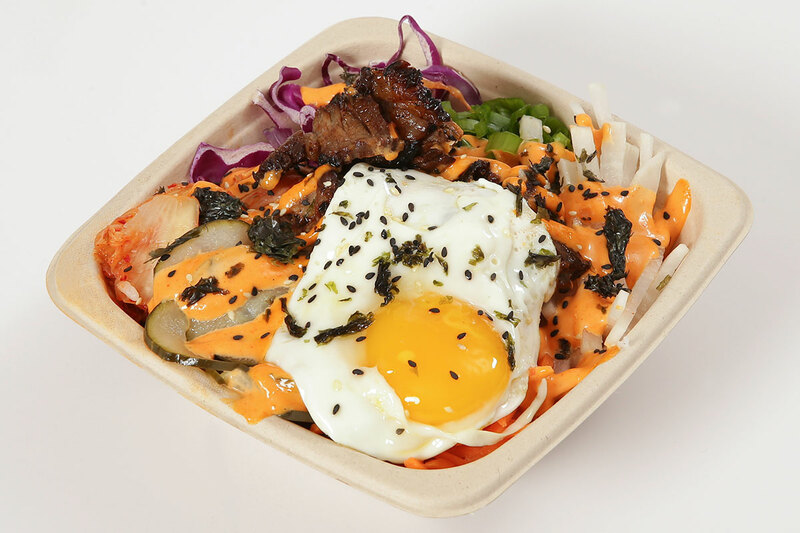 Korean Bibimbap Bowl: House-marinated kalbi beef accompanied by a fried egg, kimchi, and spicy gochujang aioli. 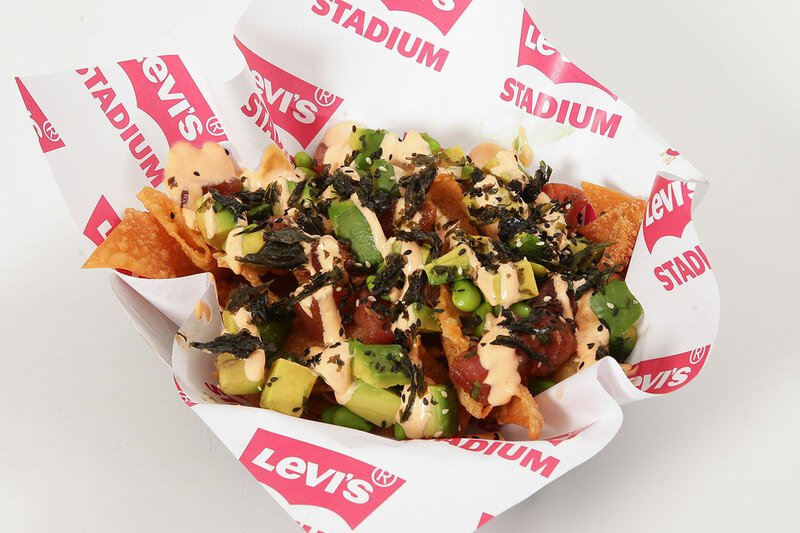 Poke Nachos: House-made wonton chips topped with fresh ahi tuna, avocado, edamame, nori, and sriracha aioli. 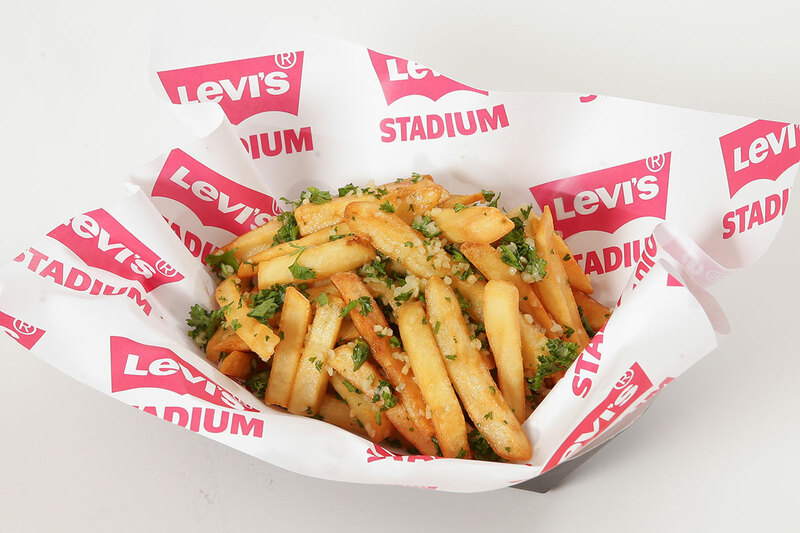 Garlic Fries: Hand-cut fries topped with minced garlic and parsley. Chicken Verde Nachos: Tostitos nacho chips topped with pulled chicken, chile verde, sour cream, fresh jalapenos, and pico de gallo. Since taking over the hospitality operations at Levi’s Stadium, the Levy culinary team has also expanded integration of its services with the venue’s one-of-a-kind “Faithful Farm” – the first rooftop garden to be housed at an NFL stadium. Consisting of 7,500 square feet atop the SAP Suite Tower, the Faithful Farm has produced more than 12,000 pounds of produce since opening in 2016. With the support of Levy, usage of Levi’s Stadium’s renowned rooftop garden continues to grow and this season will feature new produce, menus, and collaborations. The Faithful Farm Suite Menu Package will showcase stadium-grown kale, rosemary, squash, and tomatoes. The farm’s expanded produce selection now includes basil, rosemary, thyme, mint, squash blossoms, chili peppers, and tomatoes for use in dishes across concessions, suites, and club menus.